BRISBANE GIRLS, GET READY TO ROCK! Girls Rock! Australia and Backbone Youth Arts are proud to present the third Girls Rock! event in Brisbane to be held from Monday 7 – Friday 11 January at Backbone Youth Arts, East Brisbane. Empowering girls, trans and gender non-confirming youth aged 10-17 through a week-long mentorship program, Girls Rock! 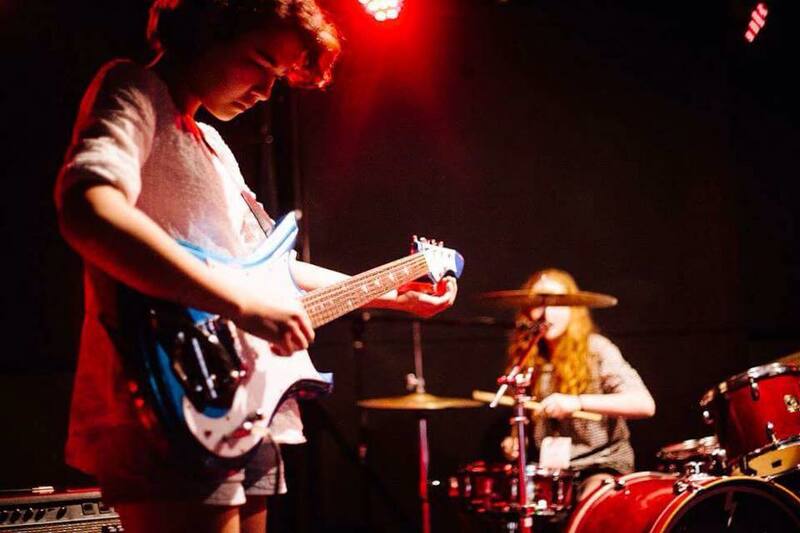 Brisbane (GR!BNE) encourages creativity, self-expression and teamwork through music. Over the five days, participants will be mentored by some of Brisbane's finest female musicians and will form their own band, learn an instrument, watch live music performances, participate in creative workshops and write an original song that they perform at the end of week showcase. The showcase will take place on Saturday 12 January, and all are welcome to attend. GR!BNE provides a safe environment for girls to express their creativity; the school holiday camp helps them to take pride in their accomplishments and learn not to apologise for making some noise! applications are now open for participants AND VOLUNTEERS! click the link below to find out more information and to get started on your registration!